Each 1 oz. bar measures measures 3" x 1" x 3/4" and you'll receive 20 of these. 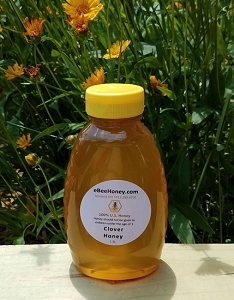 The beeswax will be shipped via Priority Mail. You'll get 20 - 1 oz. 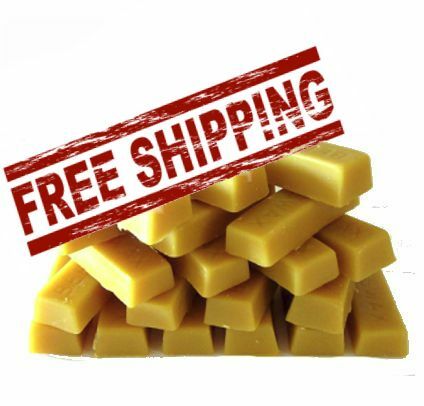 bars of beeswax PLUS FREE SHIPPING - great for crafts, sewing, or any project you need to use beeswax for. 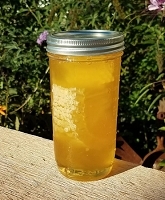 Beeswax in a 1 oz. bar (you'll receive 20 bars) that has been filtered twice and ready to use in any application where beeswax is needed. 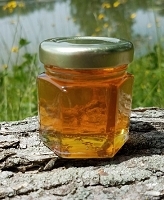 Beeswax has a variety of uses including; candles, lotions, soaps, hair products, wood projects, fishing, art, painting, musical instruments, manufacturing, etc. 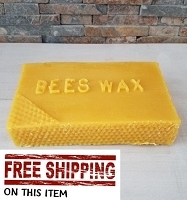 Great beeswax for any use. A 1 oz. bar measures 3" x 1" x 3/4". The bees wax is very clean. I have enjoyed using to make candles. Best people to do business with. We re-sale these products and so far this is great product and deliver is always on time. I use bees wax in my salves. For years I've whacked away at big, solid chunks of wax from a local honey man. It was downright dangerous and a less-than-optimal way to obtain the precise volume I need for my salves. These one-ounce bars are so easy to use! They look wonderful and smell, mmm, divine. We use beeswax coupled with light heat from an oxy-acetylene torch to loosen parts on cars & trucks. Great niche for you product that you might not be aware of. Contact me for ideas on marketing this niche of use. This beeswax is the bees knees! I think the product is wonderful. Super clean, wonderful smell and so easy to work with. I have come back for more. It melts beautifully and in my opinion, is the best. The small size makes it perfect for home use. I have really been in a fix since the company making my thermoplastic denture product went out of business. I could not afford the 50 dollars asked on line from people who bought the last ones. I remember when I had braces I used bees wax so I thought I would give it a try. WOW!! Works better than I could have imagined. I was very happy with my purchase of Bars of Beeswax. Fair price, fast delivery, good product. 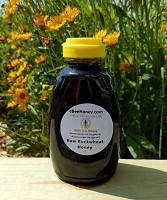 Also purchased previously the Raw Honey Variety Pack. 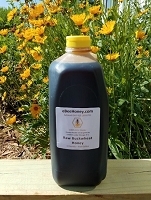 Terrific way to sample the many different honey flavors available. Will definitely be a returning customer. Really nice quality and smells wonderful! 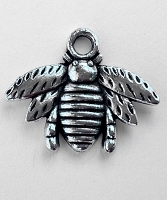 Needed beeswax for silversmithing. These little bars are great for my classes since I can give all students 1/2 bar to take home with them to use with their sawing to keep the saw blades lubricated. The company was great in filling the order and shipping the same day. Great to do business with a family run business. After my first order, they emailed asking for feedback and I made the suggestion to have a package of these smaller ones with a good shipping rate. They did this right away and let me know. I am one happy customer! I've purchased beeswax from two other online companies and both had a bad smell. This had a wonderful sweet smell. Exactly what I was looking for to use with my homemade lotion. The size is perfect.